National Conference president Farooq Abdullah on Saturday said that he has doubts if 40 CRPF personnel were killed in the Pulwama attack. 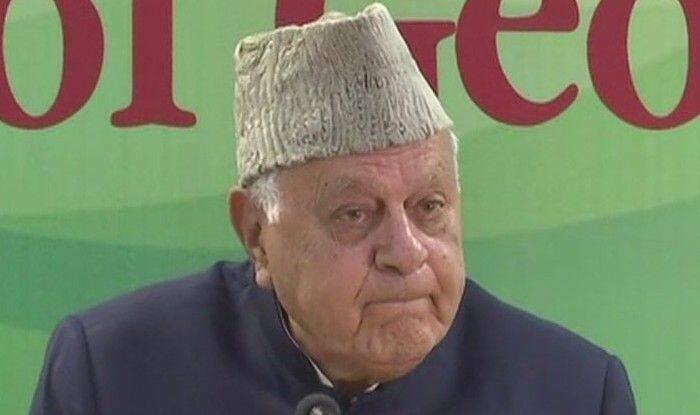 New Delhi: National Conference president Farooq Abdullah on Saturday launched a scathing attack at Prime Minister Narendra Modi, when at a public meet he asserted that innumerable soldiers die in Chhattisgarh, why hasn’t the Prime Minister paid homage to them? He further said the forthcoming general elections will be a battle to save India. “This election is a battle to save India. It is not just about Jammu and Kashmir. You have to safeguard religious freedom,” Abdullah said. The NC president, who is seeking re-election from Srinagar Lok Sabha constituency, was addressing party workers at NC headquarters. Abdullah said Modi had made many promises to the people ahead of the 2014 elections, but those promises were not kept. “He (Modi) only lies. He made many promises. He said he will create two crore jobs every year, which means ten crore jobs in five years. Where are those jobs?,” Abdullah said. “He said he will reduce petrol and gas cylinder prices, but have they? Inflation has increased. Our farmers are still committing suicide,” he added. “Modi had promised to deliver on various issues concerning the nation during his 2014 election campaign, but he has aggravated the problems to an extent that it will take decades to solve,” Abdullah said further. “Modi government presents a tale of failures and misgovernment. People have now made it a point to give a befitting reply to Modi for his failures and lies,” the former Union minister added. The NC president also questioned the Bharatiya Janata Party (BJP) over the construction of Ram temple in Ayodhya. “They were only raking up the issue of (construction of Ram) temple before, but now, where has that gone? It has been eaten by Balakot. Now that Balakot happened, they forgot the temple,” he said. Hitting out at Union Finance Minister Arun Jaitley for his assertions about the state’s special status, Abdullah said Article 370 and Aricle 35-A sanctify the constitutional link between New Delhi and Jammu and Kashmir. “They are hell bent to degrade our constitutional status. This assertion of his (Jaitley’s) reveals their anti-Kashmir agenda,” he said. “Kashmiris have lent immense sacrifices to throw the autocratic yolk away from the state. We have never allowed anybody to enslave us and we will never give up on that trait of ours. We will fight for the unity and integrity of our state at any cost,” he added.